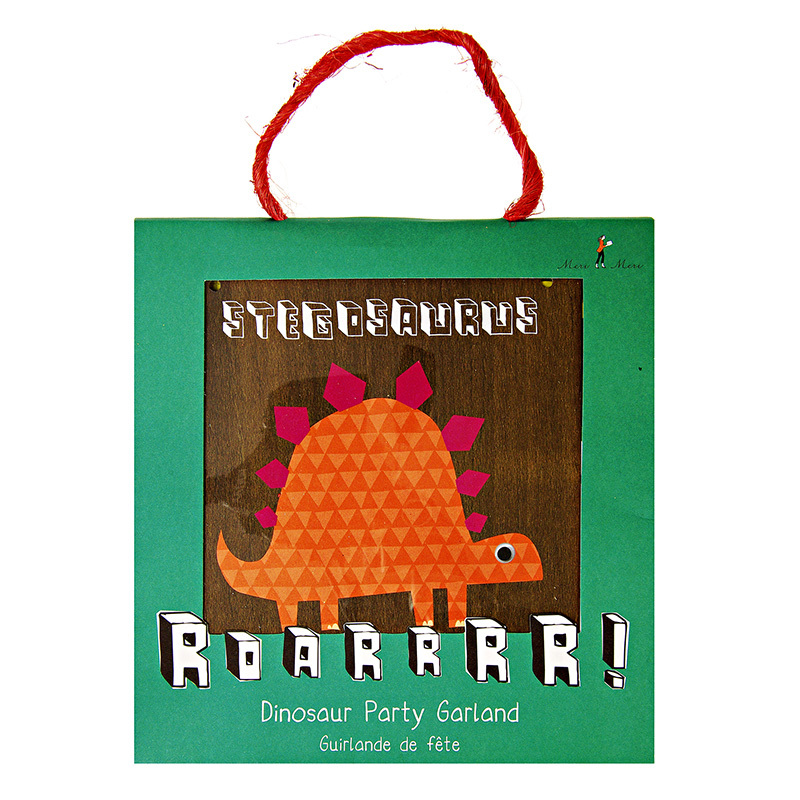 Add some fun with the Meri Meri Dinosaur Garland! We crossed to the island and suddenly, in front of us, was a land of dinosaurs! 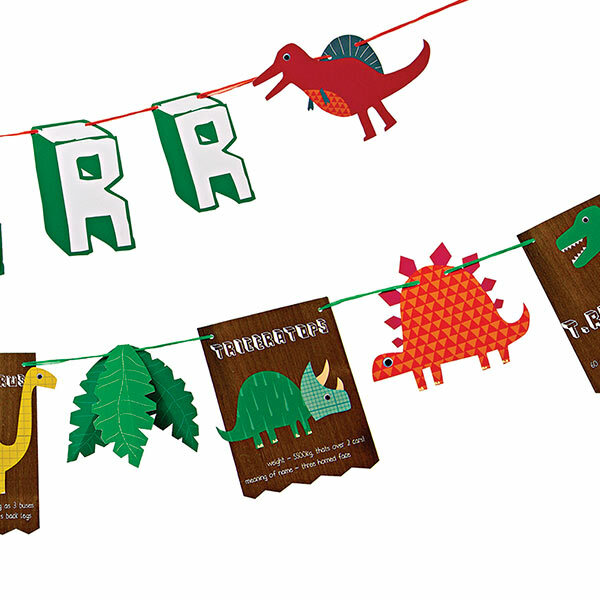 Turn your room into a jurassic scene with this dinosaur party garland. 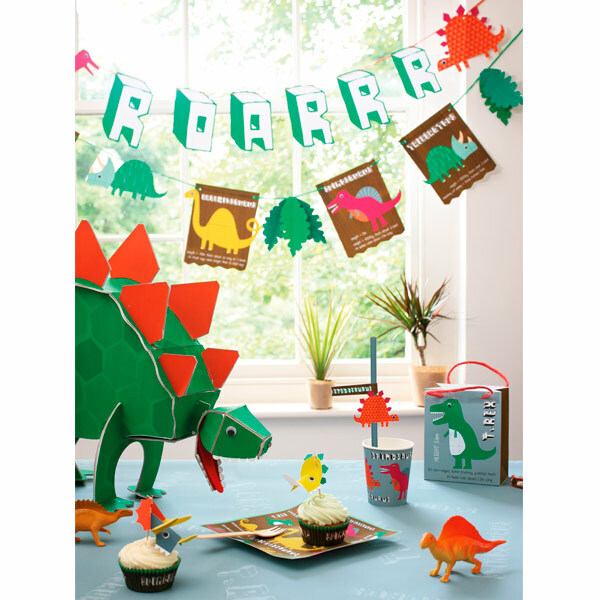 Featuring a host of dinosaur pennants with information about each species together with jungle leaves and threaded with bright rafia ribbon. Pack contains 1 garland with 19 pennants.